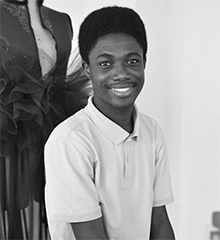 Papa Oppong Bediako is a fashion designer and illustrator graduated from the Radford University in Ghana. In his graduation project entitled ‘Celebration of Art’, he blurred the lines between Art and Fashion in the African context, collaborating with Ghanian artists in which garments were perceived as canvases. With an education background in visual arts and textiles, Oppong focuses on storytelling through these disciplines to dream up his creations. His work caught the attention of many established professionals, connecting his African-inspired illustrations to a global audience. He was featured on CNN as an emerging talent in 2015, and in that same year he was selected as of the 8 designers to partake in Macy’s fashion incubator in Washington D.C. where he is currently mastering his skills. In 2016, his collection ‘A Celebration of Makola’ was showcased in one of Macy’s store windows. 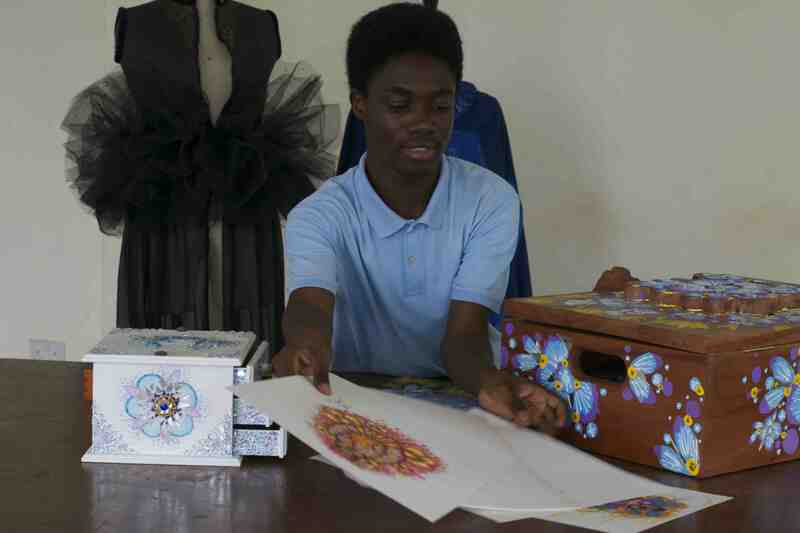 Oppong was able to build an online brand, representing the power of co-creation and social media in a new era. Already having realised collaborations with moguls such as MAC cosmetics, Swarovski and National Museum of African Arts, the multi-talented fashion creative determined to shape his work into a global brand.